As one of the world’s leading luxury lifestyle brands, Lexus has had some extraordinary partnerships with organisations and individuals who share similar values. Lexus has enjoyed a relationship with Victoria Racing Club (VRC) for 14 years and during this time, has created exhilarating design, culinary and entertainment experiences. In 2018, this relationship will be strengthened with the announcement that Lexus will become the Principal Partner of Australia’s premier racing club, VRC. 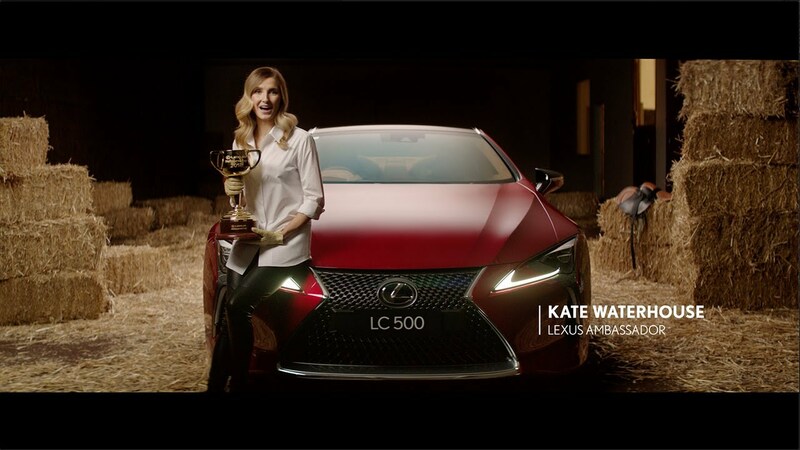 With the race that stops a nation to be known as the ‘Lexus Melbourne Cup’, Lexus are reaffirming their commitment to the very finest in memorable experiences. While a racing event at its core, the Carnival now transcends traditional sporting events with its unique combination of sport, fashion, entertainment, hospitality and business. Last year's Melbourne Cup Carnival was one of the most successful ever with strong ticket sales, larger broadcast deals with more global partners, greater digital interaction with fans, high sponsorship revenue and the introduction of new places to play on and off course including the highly successful Park precinct and Cup Day Festival at Barangaroo. With a passion grounded in inspiring experiences, imaginative thinking and exhilarating performance, an affiliation with racing thoroughbreds is testimony to the soul in every Lexus. An amazing experience awaits at the 2018 Lexus Melbourne Cup.